Bernie Sanders has propelled economic inequality to center stage. But older African Americans have known about inequality for a long time. 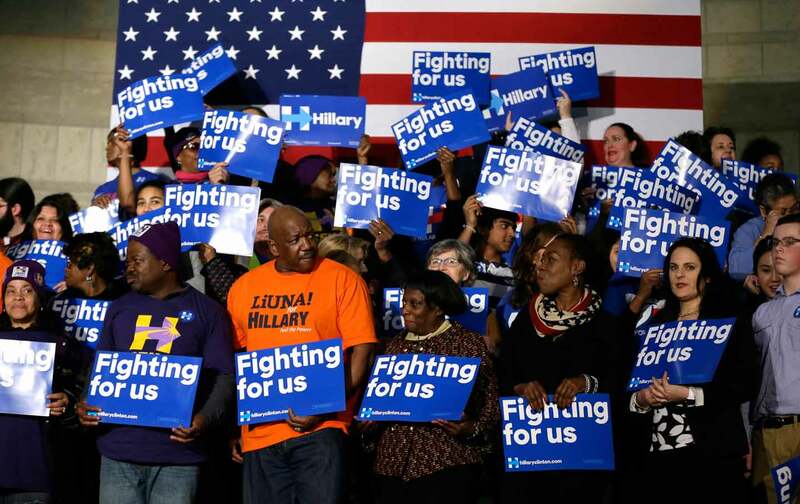 Why have most African-American voters, especially in the Southern states, steadfastly supported Hillary Clinton in the Democratic primaries? This question has bedeviled supporters of Bernie Sanders, who has a long record of support for racial justice and whose economic policies would arguably benefit blacks more than Clinton’s. As a Sanders supporter and a scholar who has devoted much of my career to studying the African-American experience, I have wondered about this myself. I have been disturbed, however, by the faintly patronizing tone of some of these discussions. Last week I spoke in Columbia, the capital of South Carolina, at a public symposium on the post–Civil War era of Reconstruction. The audience of a few hundred was one of the most racially integrated I have encountered of late. Of course, this was a self-selected group interested in history, not a representative sample of the voting population. But I came away with a deeper understanding of this electoral phenomenon. Needless to say, I cannot speak for black voters or for any individual’s choice of candidate other than my own. But I think that Sanders supporters too frequently fail to understand the conditions facing African Americans today, especially in Republican-controlled states like South Carolina. If you are a black Carolinian you know that politics is almost entirely polarized along racial lines. You have seen your governor (supposedly a forward-looking Republican) reject the expansion of Medicaid, which would enormously benefit low-income people of all races, but especially blacks. Your legislature has enacted laws designed to discourage voting by non-whites. You know that half a century after “integration” in a state where blacks make up over a quarter of the population, they represent only 10 percent of the students at the University of South Carolina and 7 percent at Clemson, the flagship public universities. Of course, significant changes have taken place in the past half-century. But for black Carolinians, the challenge today seems to be holding on to gains that are under assault rather than seeking further progress. It is not surprising that voters in this situation prefer a familiar candidate who seems to promise progress, even if incremental, rather than a lesser-known insurgent from a virtually all-white state with a sweeping but seemingly utopian agenda. Black voters, moreover, are extremely protective of President Obama. They recognize, more viscerally than many whites, how much of the invective hurled at the president has a racist tinge. No white president has been forced to produce his birth certificate to demonstrate his citizenship or been interrupted during a State of the Union address and accused of lying. When Obama is called “lazy” or a “food-stamp president,” the language, among blacks, evokes stereotypes deeply rooted in America’s racial past. To some extent, when blacks vote for Clinton they are casting one last ballot for Obama. Given all of the above, black support for Clinton is understandable. Sanders has done a remarkable thing in propelling economic inequality to the center stage of political discourse, thereby galvanizing support among young white voters, and some young blacks. But older African Americans have known about inequality for a long, long time. Whatever the outcome of this election, one lesson of our history is clear: No progressive movement in this country can succeed without a significant base of support in the black community.